POSITION SUMMARY: Reporting to the Clinical Manager the Facilitator will work with the supported person and his/her support network to identify the person’s goals and dreams for the future. Personal plans of action are developed to assist each supported person (and team) to achieve the chosen quality of life goals. The Facilitator shall work with support circles of persons supported residentially across each Kerry’s Place region to ensure that the Person Directed Plans are completed annually and that action plans are implemented. 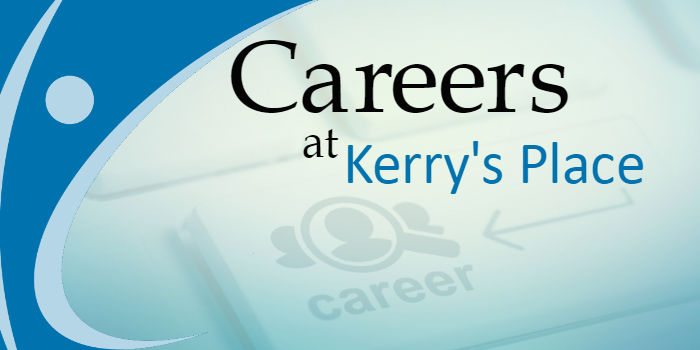 To be a positive role model and consistently engage in practices that reinforce the Mission, Vision, Values, Principles, Policies and Procedures of Kerry’s Place Autism Services. Adheres to Employee Responsibilities for Health & Safety as defined by the Occupational Health and Safety Act (OHSA), including immediate reporting of workplace injuries and/or hazards to a member of Kerry’s Place management, and use of any personal protective equipment provided. Participates in ongoing Training and Development and ensures all mandatory training requirements are met and maintained. Responsible for the implementation of quality outcomes activities and organizational development to achieve the goals set out by Kerry’s Place and the persons supported. Promote and support the use of a person-directed approach for supported persons in all meetings. Coordinate support circle meetings for persons supported residentially across Kerry’s Place regions. Develop and encourage community links. Ensure that the supported person is central to the planning process. Ensure that planning recognizes and is sensitive to the supported person’s cultural background. Ensure that accurate notes of support circle meetings/action plans are distributed to support circle members and are inputted into electronic database. Explore with the supported person and support network how to best support the person in making effective connections that will help them move closer to their goals. Post-secondary education, primarily in the field of social services. Training in person directed approaches, facilitated approaches to meetings, conflict resolution or equivalent. Knowledge of Kerry’s Place Policies/Procedures relative to services and support would be an asset. Maintains a working knowledge of QAM and policy directives and any other relevant legislation. Strong active listening skills (attention to verbal and non-verbal cues). Ability to engage people respectfully with creativity. Experience/skills in network development and connecting people to informal and formal resources. Proven skill and experience with team building. Proven ability to create a well written plan. Ability to manage a large caseload. Demonstrated proficiency with computer skills and good working knowledge of Microsoft software. Maintaining flexibility in dealing with a fluctuating workload. Willingness to travel across Kerry’s Place regions (may include overnight travel). Ability and willingness to work flexible hours (some weekends and evenings may be required). A valid Driver’s License, with a minimum G2 and a reliable vehicle. In addition to a competitive compensation package, we focus on health and wellness including fitness and family-focused benefits and work life balance.